Steel reinforced concrete is the most widely used building material in the world. It is among the most durable materials known to man. But, like any material it has its limitations. Understanding is needed to harness its full potential - for misuse can lead to durability problems. 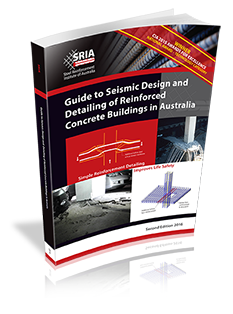 Durability of reinforced concrete structures is a not a major problem in most of Australia, but areas close to the coast show numerous examples where corrosion of the steel reinforcement has set in. Mostly, these structures need not have suffered had sufficient knowledge been available at the time of their construction. Prior to 1988 with the release of AS3600 - Concrete Structures, with it's enhanced requirements for durable design, sometimes inadequate precautions were taken, by today's standards. This has left us with a legacy of decaying older buildings. We have nothing like the problems that have arisen in Europe and the US, where thousands of bridges as well as buildings have extensive corrosion, mainly due to the salt used to keep ice off winter roads. This has been particularly concerning where post-tensioning has been used and led to a total ban on the construction of new post-tensioned bridges in the United Kingdom. The steel reinforcement is protected from corrosion in good quality concrete by the passivating effect of the high alkalinity resulting from the reaction of cement and water. Carbon dioxide from the air can neutralise the alkalinity of the concrete by reacting with the free lime component of the cement. It is largely the lime that gives concrete it's high pH, (usually in excess of 12). When the pH falls below 10, corrosion of the steel may begin, but only with the presence of moisture and oxygen. Thus, the importance of limiting the porosity (permeability) of concrete. The carbonation of concrete is a slow and predictable process and can be markedly constrained by paint coatings; or better still, specially developed anti-carbonation products. Carbonation is enhanced in heavily polluted atmospheres. There is a requirement in AS3600 for any area within 3km from industry to be considered as increased exposure classification. Unfortunately not all designers are aware of this. Chlorides may be deposited on the surface of the concrete due to salt particles in the air being carried in wind from the coast (up to 50 km, but more severe within 1km). The salt can permeate porous concrete, particularly in areas subject to constant wetting and drying. Unlike carbonation the effects can in some cases be seen after a just a short time. Moisture and oxygen by themselves can not initiate corrosion of steel reinforcement but in the presence of an electrolyte such as sodium chloride corrosion can be rapid. Again, the importance of limiting the permeability of the concrete is vital. Some paints and protective coatings can assist durability if applied before the build up of chlorides. These are the common sources for the initiation of corrosion, but other sources can include sulphate attack, and in alpine regions possible freeze/thaw effects. Steel reinforcement is given protection from corrosion by the quality of the concrete, it's cover, compaction and proper curing of the concrete. The quality of the concrete is strongly influenced by the cement content per cubic metre and the critical importance of limiting the water/cement ratio. Various admixtures are available to enable the water/cement ratio to be minimised, as the water in the process of drying out leaves micro voids which enhances unwanted porosity of the concrete. Concrete mixes can be tailor made with the inclusion of secondary cementitious products such as fly ash, slag fines, and silica fume. These inclusions can markedly reduce the permeability of the concrete (when properly cured). Ensuring that these conditions are met may still not provide durability if insufficient reinforcing steel is provided to maintain crack control. Basically, any crack that can open up to a width of 0.3mm will not be self healing (the ability of the free lime available from the excess cement in good quality concrete to seal micro-cracks). Reinforcement can be given additional protection with galvanising. This is a minor expense increase in the overall cost of a structure in return for insurance against the onset of corrosion. It is particularly appropriate for precast elements in exposed conditions. It is often specified for balconies of buildings in coastal areas. In the USA epoxy coated bar is commonly used on bridge decks because of the use of salt in winter to de-ice roads. This type of protection is uncommon in Australia, and there are not the facilities readily available to coat the bar, or the contractors familiar with the care needed in handling to protect the coating, which can be easily damaged during installation unless care is taken. In Europe stainless steel bar is available. The cost has been found to be prohibitive in Australia. Instead the Australian approach has been to ensure the concrete quality is sufficient to provide long term protection. Success has been met with the use of enhancing chemical admixtures included in the mix, or as coatings. Admixtures and fibres of various types can be useful but in nearly all cases these can not replace the drying shrinkage crack control afforded by steel reinforcement. Therefore, they should only be viewed as supplementary to the steel. Success has been met with the use of various methods of cathodic protection to the steel reinforcement, in some cases sufficient to stabilise badly corroded structures.